High resolution illustrations on the slider make the design succulent and rich. The fonts in the menu impress with trending handwritten stylization. 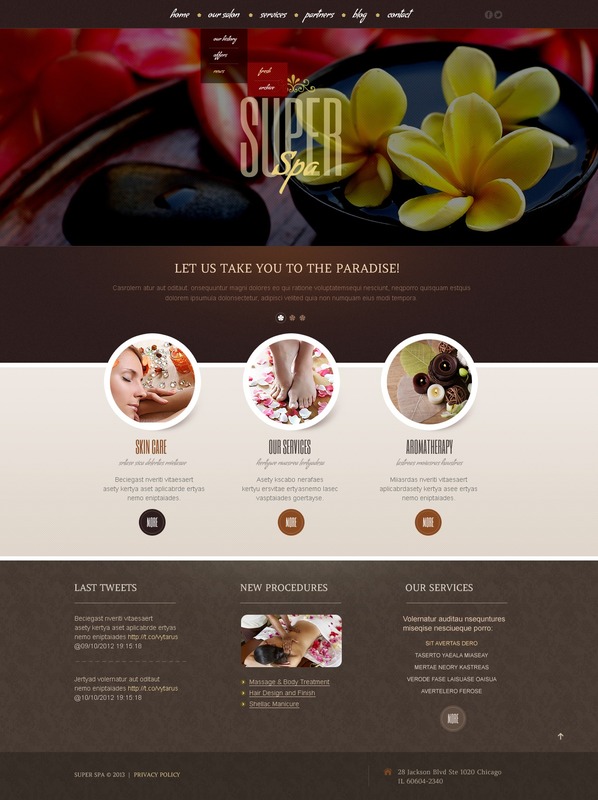 The template is integrated with the social media for better promotion of your beauty salon. I did not like this. It&#039;s not poor but it is not even close to a good one. Too much limitations on the basic stuff. 3/5. Theme very easy to manipulate. The installation service is great! Great service technical support. Very attentive attendants. New and fresh web page for our customer. They are really pleased for the result. Thank you! The template is lightweight and easy to install, but customization requires a little more knowledge.